DO YOU SPEND A LOT of time worrying about how to keep your child’s teeth cavity-free? Teaching them to brush and floss are critical steps towards ensuring that they can take good care of their teeth for life. Once those permanent teeth come in, there’s something we can do at the dental practice that will give them even more protection against tooth decay, and that something is applying dental sealants. The reason it’s so critical to teach our children good oral health habits at an early age is that 40 percent of children develop cavities by the time they start school because of poor oral hygiene and consuming sugary snacks and drinks. Every human mouth contains numerous species of bacteria that excrete acid onto our teeth when consume sugar, and this acid wears away at our enamel and leads to tooth decay. Brushing, flossing, and limiting our sugar intake are all important ways we can keep that bacteria in check. But even when we do all of these things, there are crevices in our teeth where bacteria can hide, and these can be difficult to reach with a toothbrush. That’s where sealants come in! Dental sealants are a protective clear plastic layer brushed onto the chewing surfaces of teeth to “seal them off” from plaque and bacteria that would cause cavities to form. Dentists started using sealants in the 1960s, and they’ve been popular ever since. Typically, sealants are applied to the molars because these teeth are the ones that do the most chewing and have those deep crevices where bacteria can hide. The sealant will fill in and cover any crevices on the tooth to act as a shield from the bacteria. What makes them even better is that the sealant application process is quick and painless! When Should Your Child Get Sealants? The best time to bring your child in for dental sealants is around when their adult molars erupt, which is usually at age six. The sooner they sealants are in place, the less opportunity the oral bacteria will have to build up in the crevices of the molars. However, sealants are still beneficial when applied later on. Older children and even adults can get them and have their teeth protected too! Schedule Your Child’s Next Appointment Today! Whether your child needs sealants or just a normal twice-yearly dental cleaning, don’t hesitate to schedule their next appointment! And if you have any concerns with the way your child is brushing or with how the food they eat might be affecting their teeth, be sure to let us know so that we can help. 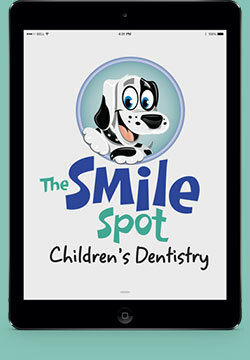 Our top priority is protecting your child’s smile! Fill out the form below and click “Send My Message” to email us. We will do our best to respond in one business day. Is Your Child a Current Patient? At your first visit, you'll complete your patient paperwork on an iPad! Read Our Reviews on Google Plus!